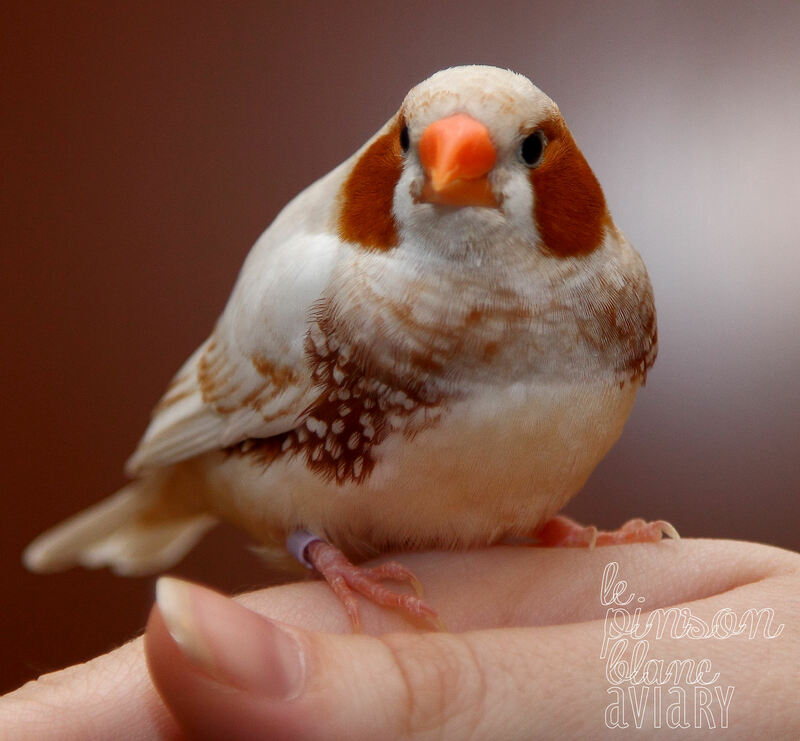 Previously, I’ve talked about whether or not it’s okay to breed Zebra Finches. I came to the conclusion that if a serious and experienced hobbyist (of any level) has spent the proper amount of time and resources preparing themselves for the huge commitment of breeding then it is an enjoyable experience that will give back to the Finch community in the end through providing quality stock and improving the species. 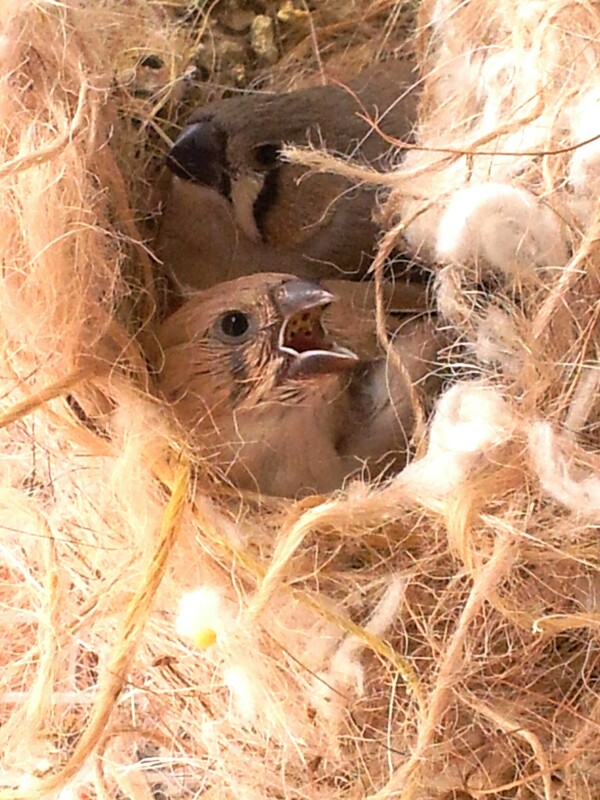 If you have fully committed yourself properly to breeding then welcome to the world of raising Finches! 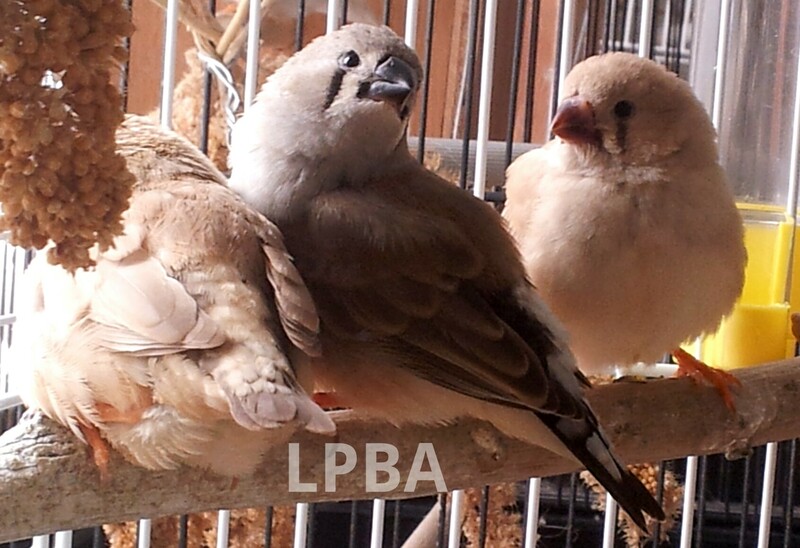 A breeder is defined as someone who allows their birds to breed. This may be an “accident” or intentional but in any case it is still the same. If you do allow your birds to breed then you are subject to all regulations and laws regarding breeding, even if it is not your intent to do so regularly. If you’re trying to make some money by breeding Finches, then I would recommend another profession! Re-homing fees usually only cover the cost of seed and don’t generate a large profit unless you are breeding on a very large scale or breeding some of the larger and more expensive bird species (not Finches). In which case you would need to devote a lot of time, space, money and care to starting and maintaining a large breeding business. No matter what scale of breeding you plan to do, make sure you know what regulations you are restricted by. Some states require licensing for breeding Zebra Finches, and some local cities and towns prohibit the sale or breeding of birds or other animals entirely. To cover all of your bases, contact your local Fish & Wildlife, State Animal Licensing, and USDA representatives to find out more information before you purchase your stock and begin breeding. If you do not then you may end up getting all of your birds taken away and having legal actions or citations against you. So, you want to breed Zebra Finches? 🙂 Then prepare yourself properly in advance to ensure that your flock and their offspring are provided the best environment and chance at life. Don’t just look up basic care requirements, do a little extra digging and find out about Finches in the wild. Having insight into how your Zebra Finches live naturally in their native climate vastly improves the way you look at their environments and the foods you are providing them with. The first step is finding or breeding your own “breeding stock.” Breeding stock is defined as fertile adults who are old enough to breed and bonded with their mate for compatibility. You can select stock based on popularity, easiness to breed, personal preference, or you can breed specific show-quality stock. Always be honest with breeders if you plan to breed offspring. If you request “unrelated pairs” then it is a dead giveaway that you plan to breed. If you try to hide that fact or lie, breeders will not want to sell to you or allow you to purchase their breeding stock. It is entirely normal and professional to ask for breed-able pairs. As a breeder, if I feel someone is not knowledgeable enough or has enough space to breed then I will instead suggest for them to adopt a related pet pair and gain some experience or to just enjoy their pets. Keep in mind that your Zebra Finch pairs whether they are used as breeding “stock” or not need to be shown affection and care just like any other pet. People looking to adopt Finches are looking for socialized and healthy pets, not terrified or scrawny offspring. It is part of their basic care to treat them like pets and not “breeding machines.” This means they require more than just the bare minimum to live. They also need stimulation socially with other birds and humans and mentally through toys and exercise. Whatever you do decide to breed you need to make it your own. This means going above and beyond just breeding whatever stock you buy from other breeders ~ set yourself apart from the rest. It’s okay to start working with first generation offspring and then continue on once you’ve brought your original pairs into breeding condition. The entire breeding process is defined by pairing up offspring which you raised and creating generations of healthy and happy birds. Anyone can buy stock from another breeder and mate them for a generation, but a quality breeder finds their own niche, a specific line or trait to focus on, or creates something new. 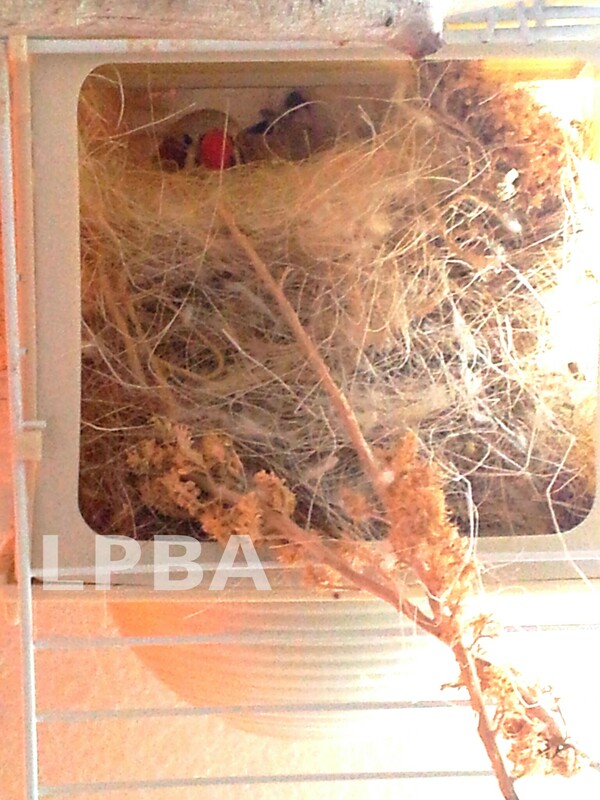 Zebra Finches will mate for life when given the chance, so it is never a good idea to separate a bonded pair unless it is to stimulate a resting season. Pairs need to be selected with care and respect to both genetic and personality compatibility. Finches won’t always breed with the mate you give them and great attention needs to be given to any newly matched pairs to ensure they don’t become violent towards each other. Finches can become so territorial to a point where they prohibit another bird or birds from using a food or water source. This can result in death if unsupervised properly. Don’t forget ~ the more pairs you own, the more time you will need to devote every day to their care. Read more about it here. Tip: CFW hens encourage some of the more stubborn males to begin their mating behavior. This is done in a multitude of ways. Many breeders will simply add high-protein foods to their Finch’s diet to encourage them to breed, but it is important to cover all of their needs during the breeding season. Parents not only need to be conditioned to be fertile but they also will need a diet that supports their mating and parenting activities. This includes replenishing the energy and nutrients they are losing at a faster-than-normal rate due to breeding. There are multi-vitamin supplements that come in powder or water-soluble forms to help Finches into their prime condition both physically and with regards to breeding. The powders are more widely used but aren’t always entirely as effective because they aren’t always entirely absorbed. The water-soluble vitamin supplements however are easily absorbed and fast-working when diluted properly. Both are proven to improve egg and feather production, relieve stress, increase energy and stamina, stimulate immune systems among other helpful effects. It’s best to wait until the pair reaches the appropriate age to allow them to breed. A lot of hobbyists recommend waiting until they are 6 months of age but I prefer to advise to wait a year if possible. This will allow the best breeding environment for your pairs and will help to prevent issues that may occur when they are bred too young (such as egg binding or other nutrient deficiencies). Tip: If you’re opposed to vitamin supplements here are some high-protein Finch foods: sprouted seed, hard-boiled egg softfood, egg meal mix, insect soft food, alfalfa, bee pollen or bee pollen mixes. These items are for sale at Lady Gouldian. It goes unsaid that not everything you will feed your parents will be safe enough for their offspring to share. Before your eggs hatch there are a few cage adjustments you need to make. Make sure to dilute any water cleansers in their bath accordingly (3mL per 1L for Megamix), and remove all egg shells. Though I have heard for years that egg shell can injure a hatchling’s crop, I have never personally seen it. I provide my birds with finely ground egg shells that are sterilized and come in pieces so tiny that it is more of a grit-like (powder) substance. Cuttlefish bones are not the great source of Calcium that everyone believes them to be and should be removed before your eggs hatch. In reality, the Calcium they provide isn’t absorbed entirely or as it should be which leaves your birds lacking that nutrient. They also contain a high amount of salt which can lead to egg binding. A great alternative to Cuttlefish bones would be a grit supplement (like F-vite) or finely ground egg shells. “Baby-proofing” also means providing positive aspects to promote their parenting process and to encourage hatchlings to grow into fat, healthy birds. 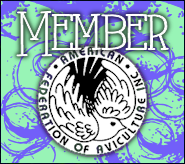 To find out more about what healthy and organic foods you can provide your birds to give them a head start, visit the Food: For Starters & Otherwise page. Don’t forget to include multiple low perches for babies to learn on which can serve as little “baby steps” up to the regular perches. It is also a good idea to provide feeding parents with a softfood mix that they can easily regurgitate for babies. The easiest is hard-boiled egg chopped up fine. Other options include insect soft food or sprouted seed supplemented with a multi-vitamin such as F-vite or Bee Pollen. It is important to give your offspring the best start possible and provide their parents with enough food to cover their entire clutch. Failure to do so may result in abandoned babies (either an entirely clutch or one or two at a time). Parents will only feed the babies they know will survive and will be able to take care of, less food in their eyes means they have to pick and choose which to save. 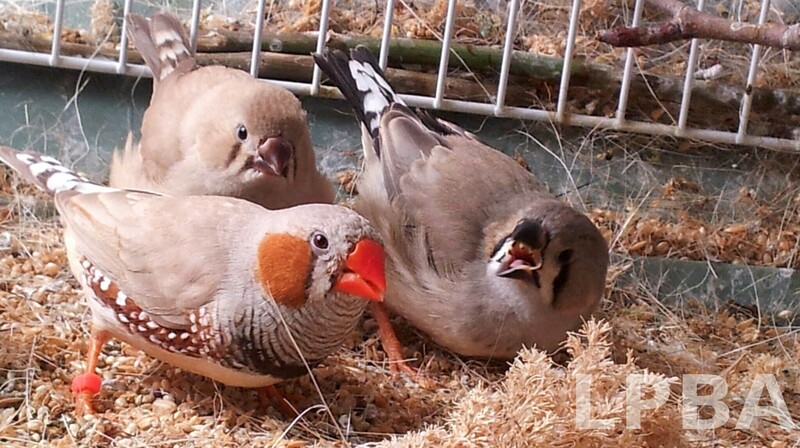 Some Zebra Finch mutations are bred together (double factor) to a lethal combination. If you are breeding these color mutations it is vital that you also include BB OB or other characteristics to ensure that your offspring aren’t born with health issues such as blindness. It is important to know the basic genetics of the Finches you intend to keep. If for no other reason than to be able to discern what you have in your flock, but also to be able to keep track of your birds and their offspring and ensure a symbiotic environment. While every breeder will occasionally find themselves behind in their record keeping during a busy season or due to a busy home life it is vital that observations and records are kept current without exceptions. There are times when novice or first-time breeders will lose track of their flock and become so far behind due to laziness or other excuses that they need to either sell or give away all of their birds. This is when you will see a large group of birds being sold for mere dollars each or less because they are probably largely inbred and infertile. I have found many of these types of cases on Craigslist ads. 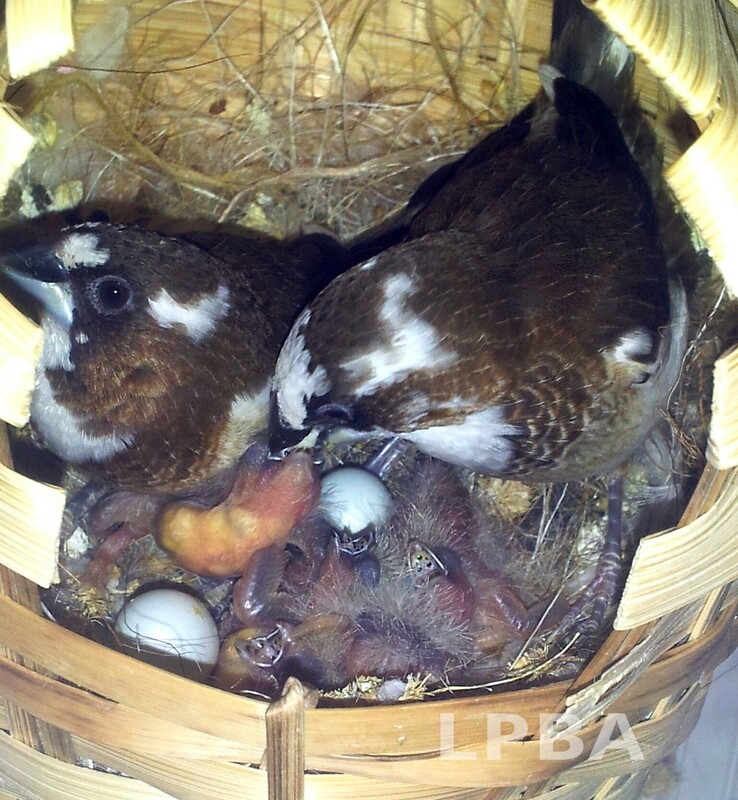 At some point in their lifetime, Finch pairs will most likely abandon or toss their babies. It can be the result of too frequent nest checks, another other form of stress, or some other unseen/unforeseeable factor. It is the responsibility of each breeder to do everything they can to take care of any babies that their birds have whether or not the parents choose to. All breeders should be prepared to do so before they start allowing their flock to breed. First, try to figure out why the babies were abandoned or tossed. Often times moving their cage or changing the environment will do it. Another common reason is the lack of resources necessary to breed (this will also result in parents “narrowing down” a clutch by removing one or two babies). Finches will also abandon their young if your flock has become infested with a disease or parasite or if they are frequently visited by a predator. They will also abandon their young prematurely to mate again (which can be fixed by removing the father). Once you’ve figured out why it has happened so you are able to prevent it in the future, you may also find out how to fix the issue and get the babies back into the nest with their parents. That should always be the ultimate goal. The easiest way to raise abandoned eggs or babies is to place them with a gracious foster couple. The easiest of which are usually Society Finches. This eliminates the risks of hand-feeding and also provide a chance for the babies to learn to socialize with other birds which they are not able to do if hand-fed. There are diseases however that Societies can pass to their fosters so it is important to only use quality and treated stock. Hand-feeding is a very delicate process that often ends in tragedy. Eggs and babies have specific needs during the incubation process and hatchlings are a round-the-clock job for the first couple weeks of their lives. If you have exhausted all other options and your offspring rely on you to live then you will need to hand-feed them. 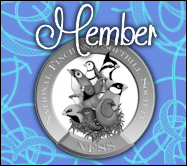 I recommend Lafeber’s Finch hand-feeding formula and Dr. Rob Marshall’s Megamix. Both items provide the proper nutrients for babies and prevent yeast infections which are one of the most common causes of death in hatchlings. (I do NOT recommend using Kaytee because of their numerous product recalls.) Every breeder should formulate a mix that works for them and covers more than just the basics, but that is a good place to start. Even if you do the research and have the experience ~ we all make mistakes. As long as they are not the result of a conscious decision to put your birds in harm’s way, then it is unavoidable in some cases. The best way to correct a mistake is to admit it and seek help or treatment for your flock. There is no shame in mistakes or needing help, but there is in hiding mistakes and ignoring recommendations. The best way to prevent mistakes is to do an ample amount of research on some of the common risks associated with breeding. Accepting criticisms, advice and other forms of help are just part of being a good person and being a good breeder requires just that. Even if you know that someone’s advice or criticism is “wrong”, acknowledge the fact that they took the time to try to help you and thank them. 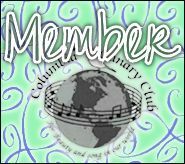 Discuss your views and ideas with other hobbyists respectfully and remember that bird keeping is a lot like parenting ~ everyone has different beliefs about what is the best way to go about it and what works for one person or even a hundred thousand people doesn’t work for everyone. If someone offers you a criticism or advice even if it’s in the rudest manner, try to remember that their words are out of concern for you and your birds in an attempt to help. Be kind and in return you can expect kindness as with everything else. Pairing birds that are not compatible, hand-fed hatchlings dying as a result of yeast infections, injuries due to a cage or cage setup that is not suitable for Finches, frightened or terrified birds “thrashing” about the cage, or death caused by stress are common mistakes that first-time breeders make and are completely avoidable if you take the proper precautions. It is always a good idea to use an avian-specific veterinarian for your Zebra Finches. It is especially important for breeders to have an Avian Vet in their pocket because breeders will run into issues at some point and need to be able to provide proper vetting for their birds. Most good veterinary clinics have at least one Avian Veterinarian on staff. There are also very helpful websites where you can pay a small fee to have your questions answered by a knowledgeable avian vet. I have personally used Just Answer – Birds for non-emergency issues with success in the past. I have also used Banfield @ Petsmart for as long as I’ve had animals. 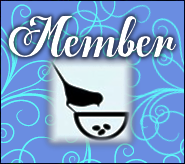 Their staff and products are really great and they always have a good avian vet on call. They also have monthly plans for breeders and anyone else that needs to make multiple visits each month but do not want to pay per visit. I highly recommend them. Always close your aviary and halt breeding to take care of any illnesses or injuries ~ your birds’ health should be your top priority! A breeder needs these items in addition to regular care items: hand-feeding formula, hand-feeding syringes, leg bands, breeder record cards, breeder log book, incubator, hospital cage, first-aid kit for Finches, heater, air conditioner, net, nests, nesting materials, egg tweezers, vitamin supplements for breeding parents and developing babies, cage or cages to hold any offspring, pre-screened adopters. is it possible to breed large size MALE zebra to normal(wild type size) hen?